Winner: best OpenCart Marketing/Engagement plugin! 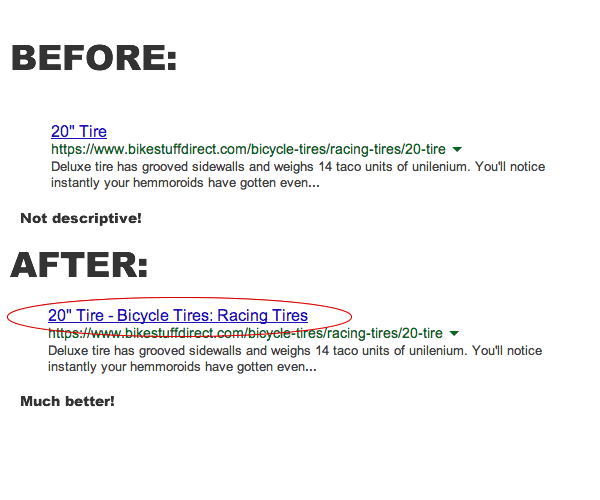 Your page title tag is the first thing that potential customers see in search results. It’s also one of the top ranking signals that search engines use to decide the relevance of your page to a searcher’s query. Having the incomplete title tags OpenCart uses by default is an easy way to kill your click-through rates and search ranking. By default, it’s very difficult to change many of the HTML title tags on your OpenCart site without a lot of coding and hacking of core files. Not anymore! OpenCart Super Page titles gives you complete control over every aspect of the page titles for your OpenCart site. Token system allows you to easily insert special data fields into tags, such as category name, site name, search query, and more. Simply click to add. NEW FEATURE IN VERSION 1.1: You can now optionally override both the title tag and the H1 tag of specific products and categories on your site. 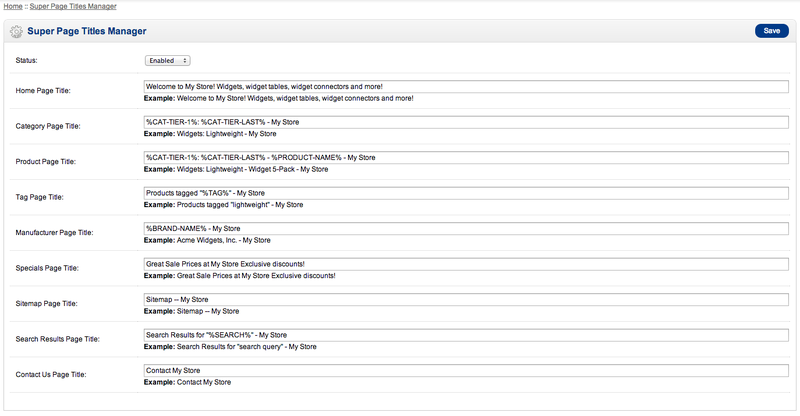 Fine tune keyword targeting for individual products and categories! Due to the very low price of this script, no support is included. The manual does include a detailed troubleshooting section to help you debug most common problems. The script works and is tested with most common configurations. Rare server, plugin, or theme configurations may require custom modification or troubleshooting for the script to work. New category and product title overrides!